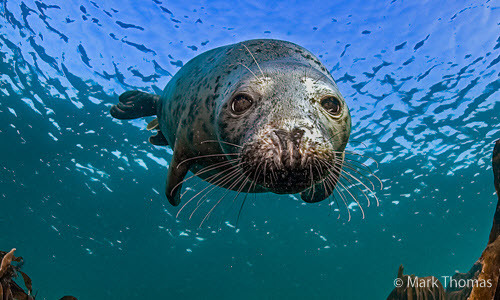 The Marine Conservation Society (MCS) is the voice for everyone who loves the sea. We work to secure a future for our living seas, and to save our threatened marine wildlife before it is lost forever. Almost nowhere in UK seas is marine wildlife safe from harm. We need to establish vital marine protected areas where wildlife can recover and flourish. Levels of beach litter have doubled over the last two decades. MCS works to clear our seas of the rising tide of rubbish that is so dangerous to sea life, including seabirds, whales and dolphins. 71% of Europe's fish stocks are overﬁshed or depleted. Once common fish such as skate and cod are now rare in many areas. MCS works to reduce the overfishing which is devastating the life in our seas, and promotes sustainable seafood alternatives. Our work ensures that the sea's rich wildlife can be restored, fish stocks grow more plentiful, and our beaches and seawater become cleaner. We depend entirely on the generosity and enthusiasm of our supporters to continue to care for our seas, shores and wildlife.